Crop developed to be readable. The list on left is five names. 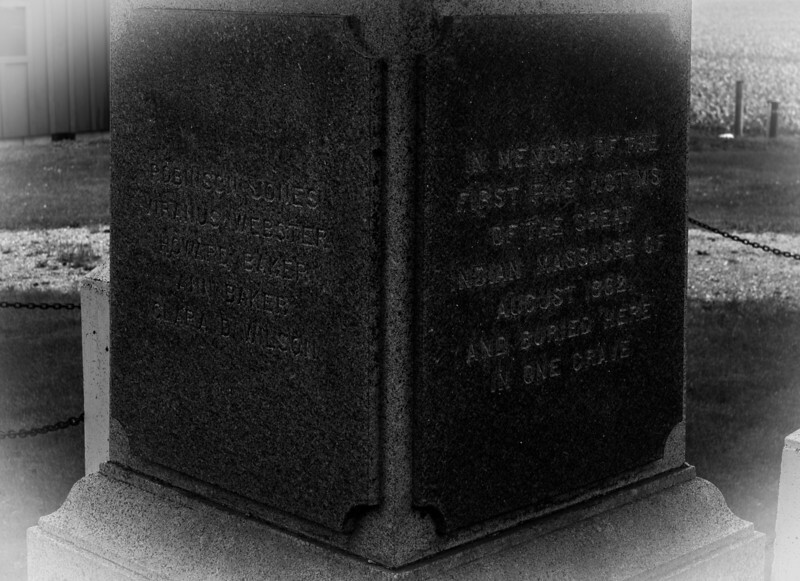 On the right it says "In memory of the first five victims of the great massacre of August 1862 and here buried in one grave. I read the article on it and this is definitely one way of looking at it (grammar aside).